With the implementation of tablets for the use of an Electronic Flight Bag (EFB's) brings many exciting advantages not just to pilots but a wide range of people in the aviation industry. Now that the cost of introducing an EFB program is lower than ever before, the integration of iPad based EFB’s with both airframe and MIS enterprise intelligence systems lends credence to the reality that the capital gains from investing in this "Paperless Flight Bag solution" can no longer be ignored. If you are reading this then you more than likely know that today's tablet based EFB's offer pilots the ability to take their 30-40 pound flight bag filled with checklist, flight plans, airport approach procedures and aircraft operations manuals, just to mention a few of the required necessities, the ability to trade it all in for a more efficient and convenient 5-10 pound flight bag. When the pilot is in the aircraft, the safety features these systems offer, such as real-time weather overlays, en-route charts, fuel consumption and computation, etc., are all at the pilots fingertips and one swipe away, allowing the pilot to complete pre-flight and post-flight tasks with ease. This allows the pilot to focus on getting the passengers to their destination safely, and just as importantly, on time. Now that we know what these solutions can do for pilots, it’s important to address the advantages of integrating this array of aircraft data on a management level. Current tablet based EFB's are presumed by some to be a "light EFB solution" opposed to other pricier solutions. 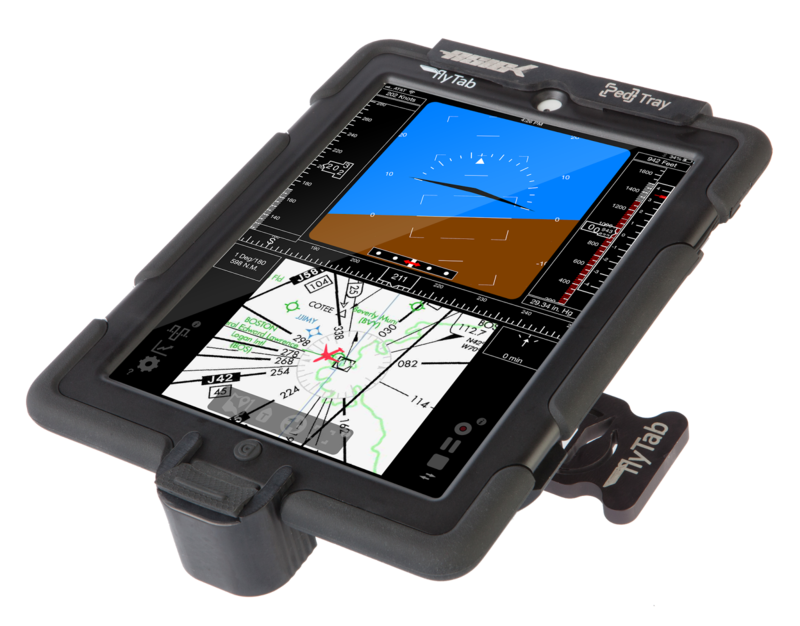 In reality tablet based EFB's are very powerful and very affordable, and widely available at a price point that can easily be recouped by the end users well within 24 months, and in some cases as little as 3 months depending upon the scope of systems integration and saturation of the deployment. In either case, when any airline business analyst considers the benefits of adding a low-cost, enhanced business intelligence platform capability to their flight operations department, an ROI of less than 2 years is a no-brainer. Especially when these solutions pull abundant amounts of information from an aircrafts data buses and displays or calculates the information on the tablet for pilots, and/or sends the information to one or more ground locations for detailed parsing and analysis, with no additional ACARS or Satcom fee structures. The crew here at ASIG has put together a few important virtues of what integrating data bus information with your management can do to help your company run more efficient and cost effective. Aircraft Maintenance - With the ability to have maintenance personnel connected to real-time aircraft data and logs, they can be ready and prepared to complete the maintenance task for a particular aircraft before it even arrives at the gate. This eliminates a substantial amount of "back and forth" time between the maintenance crew and other personnel creating a faster and more efficient turnaround time. This also correlates to a greater saving because we all know that an aircraft sitting in a hanger does not generate profit. Flight Monitoring - The ability to collect, store, monitor various aircraft functions, and send this information in-flight is no longer unobtainable. Operators can ensure a more efficient flight by monitoring fuel burn, engine trend monitoring and airframe lifecycles all in one place. Inventory for spare parts and hardware can be drastically cut with the ability to monitor conditions such as hard landings, hot starts, de-rated take-offs and vibration, as well as flight operations tasks. Documents - The world is ever changingand technology is no different. As we become more aware of how these aircraft operate in flight, manuals, checklists, and other documents are evolving, as human knowledge base does. Making revisions or changes to such documents are as easy as downloading the necessary changes and clicking save. Airframe integration also supports forms automation and enhanced checklists offering flight crew personnel visual statuses of aircraft and systems configurations, minimizing check-and-effect assessments and crew resource management; or, legacy carbon-copy based flight logbooks are easily replaced with XML or other web-based forms media and capable of suggesting PIREP entries based upon on-board CMC codes. Enhancements such as those suggested here not only eliminate the cost of printing, time to ship and distribute the documents, and the hassle of keeping up with them, but also reduces errors resultant from data recording and analysis allowing airlines to automate flight and maintenance training and operational efficacy with less human resource and greater fidelity . These added efficiencies are real benefits that ensure that everyone has the most up to date documents without any human induced error, while adding productivity to the bottom line at a nominal cost of implementation. Flight Safety- When awareness is not at its best, accidents will ensue. With all of the data bus information able to be right at not just pilots finger tips but also to different departments on the ground, there is no doubt that these EFB solutions show a great virtue for improving flight safety. These systems make data fully visible throughout the enterprise and allow decision makers from the cockpit-to-corporate to be the most informed of operational realities across the business unit. As stated previously, these so-called "Light EFB solutions¹” hold a value in the aviation Industry and with the rapid development and release of iOS EFB applications due to platforms like the flyTab Software Developers Kit (SDK), and Apple Xcode project add-in, provides many benefits for not just the pilots but also the management side of a company. In fact now that the data is in, it is clear that operators are able to introduce fully featured Class 2 iPad EFB systems with greater capability than legacy Class 2 systems at a cost < 20% of an aircraft fuel load. The conclusive impacts of what these EFB's are producing for operators however, are becoming more relevant as they become more immersed in aircraft systems, thus providing a business intelligence force multiplier when available from any number of enterprise MIS resources. At ASIG, we’ve partnered with Apple to take the long look forward to what the future holds for iPad Class 2 EFB’s such as the flyTab Dual Class 2 iPad EFB system, and committed our team and resources to the maturity of these technologies, continuing our legacy of innovation in the aviation industry. In context to flyTab iPad EFB solution, the only things "light" can refer to is the cost and weight of innovation! ¹Reference: NavAero “Tablet Solutions” and UTC Aerospace “SmartDisplay” product literature.